For some, the year 2018 was described as a ‘mess’ with one Twitter user going as far as to call it an ‘irredeemable dumpster fire’. That said, for the people on this list, 2018 was far more magic than mess. From breaking global boundaries, to championing social issues, some of South Africa’s best-loved creatives used the last 12 months to craft unique and special offerings to their communities and consumers, and taught us a few lessons about how to rethink our own approaches to business and creativity. After enduring a barrage of abuse following his groundbreaking role in the film Inxeba (The Wound), no one would’ve blamed Nakhane for calling it quits on 2018. Instead, he turned a whirl of controversy into a insignificant backstory, and took his career to meteoric heights. Based in London, Nakhane released his critically-acclaimed album You Will Not Die, and fast became the favourite of fans and faves alike. Between private visits and an endorsement from Sir Elton John, park dates with Ben Whishaw and Instagram photos snapped by Madonna, there is no doubting Nakhane’s powerful talent and personality. 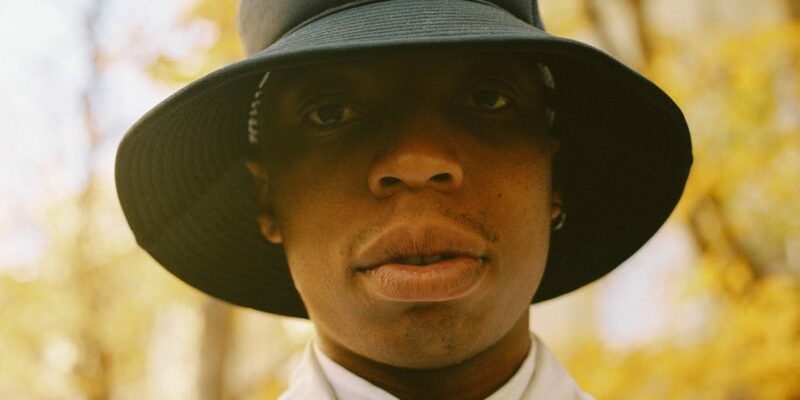 Taking on a demanding (some would say brutal) international touring and press schedule, Nakhane proved that there are no boundaries for South African artists, and that hip hop and house are not the only genres South Africa has to offer. Part of Nakhane’s appeal in 2018 was his balance of glittering self-confidence and comforting relatability – a rare gift in the world of South African, and indeed international celebrity. 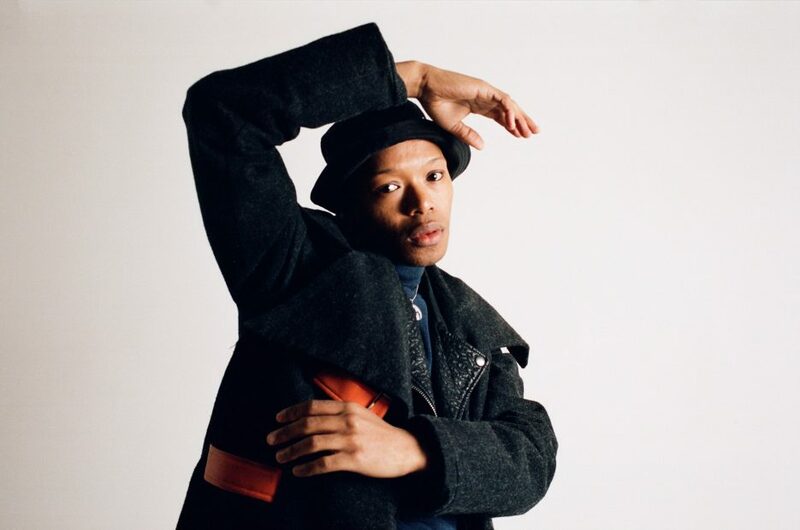 Delivering a series of near-perfect visuals to aid his sonic storytelling, Nakhane is adept at any task he takes on. He says to us, with every offering, “I can do anything”. When the (now historic) Cornerstore announced it would be closing its famous Sir Lowry Road store, there was a palpable panic across the South African streetwear community. After all, the space was home to some of the best-loved local ‘hypebeast’ brands. 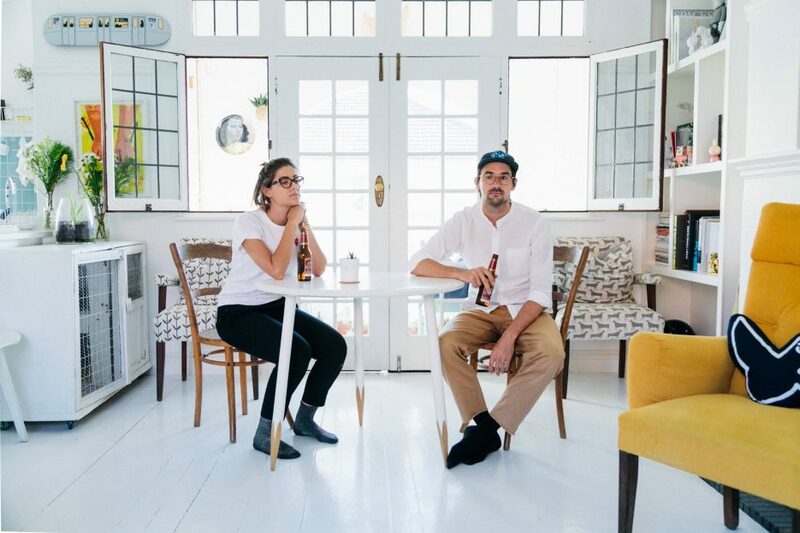 But savvy business duo, and married couple Mathew and Melissa had a vision for their loyal fans and customers, and soon opened Orphan Street Clothing Store (O.S.C.S). Clearly identifying a vacuum and a business opportunity, the SolSol and Maylee masterminds set about furthering the look, feel and shopping experience of Cape Town streetwear. With a clean, almost Marie Kondo-like quality, O.S.C.S. is a gorgeous peep into the potential future of South African retail. The store is infused with both of their approaches to style and decor, and though it would fit seamlessly into a high street in London, Berlin, or Paris, it (thankfully) lacks the pretentiousness that makes for an awkward shopping experience. Supported by their longtime collaborator Luke Cassar who runs the day to day management of the store, the Kieser team have once again provided a lesson in the value of vision, determination and of course, a big spoonful of style. Nandi Dlepu is something of an institution in the Johannesburg creative scene. Known by some for her role as an executive producer, others as a fierce champion for women’s empowerment and by others still as the face behind Feel Good Series, the entrepreneur and creative took her mission further in 2018. Despite the massive success of the Feel Good Series events, Dlepu went on to add to her repertoire – by partnering with Martell for the Feel Good Live Sessions, and by launching her new colour-coded cool event series, Pantone Sundays. 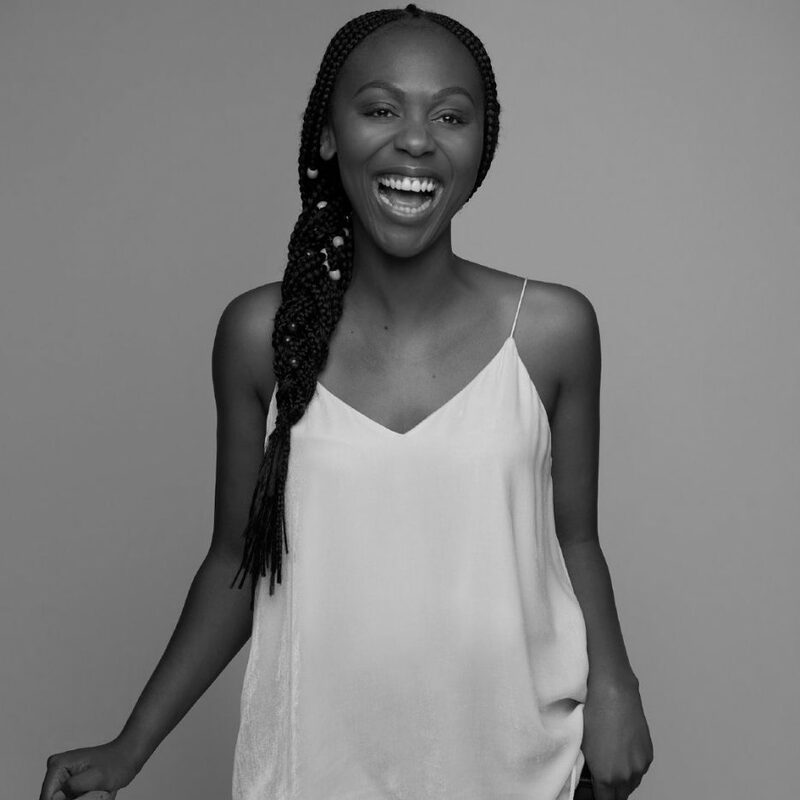 In addition to this, Mamakashaka also operates as the name of her creative agency, which gained serious traction in 2018. While it is certainly the case that there are many creatives wearing many hats, few can claim to have as distinctive and recognizable an impact as Dlepu. Her aesthetic, her personal ethos and inspiration is clearly felt across everything she is a part of – and despite being somewhat in the business of groove, she has shown her network that the best part of anything is remaining true to your vision and to yourself. When I first came across Tsukudu, I’ll admit I was a little skeptical. After all, how was a guy doing his Masters degree in Law, tucked away in Grahamstown, planning to make it big with his music? But where I saw a dead end, Tsukudu saw a path all his own. After releasing his second EP, Melodiesonic, there was no doubt that he was on a mission to succeed. Soon, he swapped his quiet Eastern Cape life for some pretty epic shows. Just months after his EP dropped, he caught the attention of the Kool Out team, playing a gig that would cement his place as a producer worth some serious attention. 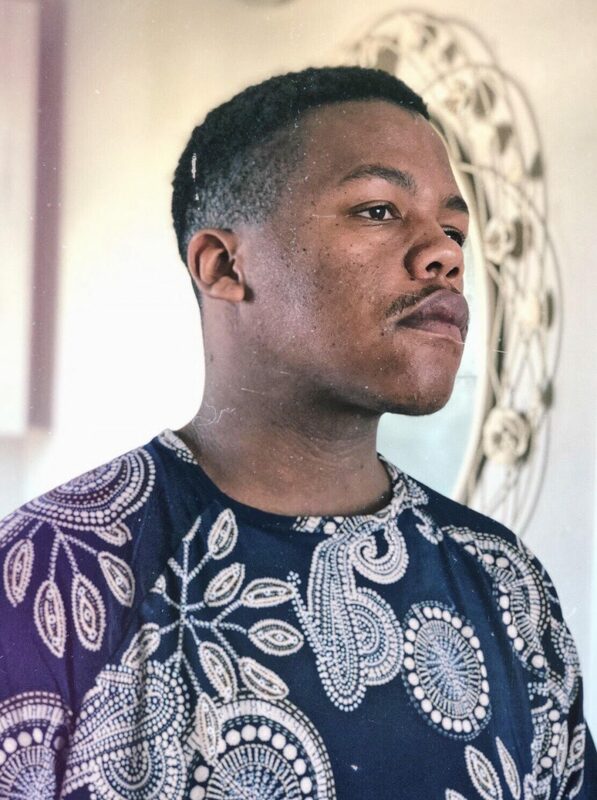 And rightly so – Tsukudu seems to work with a laser-like focus, constantly experimenting with new sounds, supporting other new artists, and asking for honest feedback, his dedication is unquestionable. In 2018, however, what stood out most was his ability to stay on his own musical path. In a landscape where cookie-cutter cool and compromise are the cornerstones for any chance of success, Tsukudu has taken a brave ‘build it and they will come’ approach, which is both terrifying and terribly refreshing. When it comes to art as activism, Ellen Heydenrych comes to mind instantly. 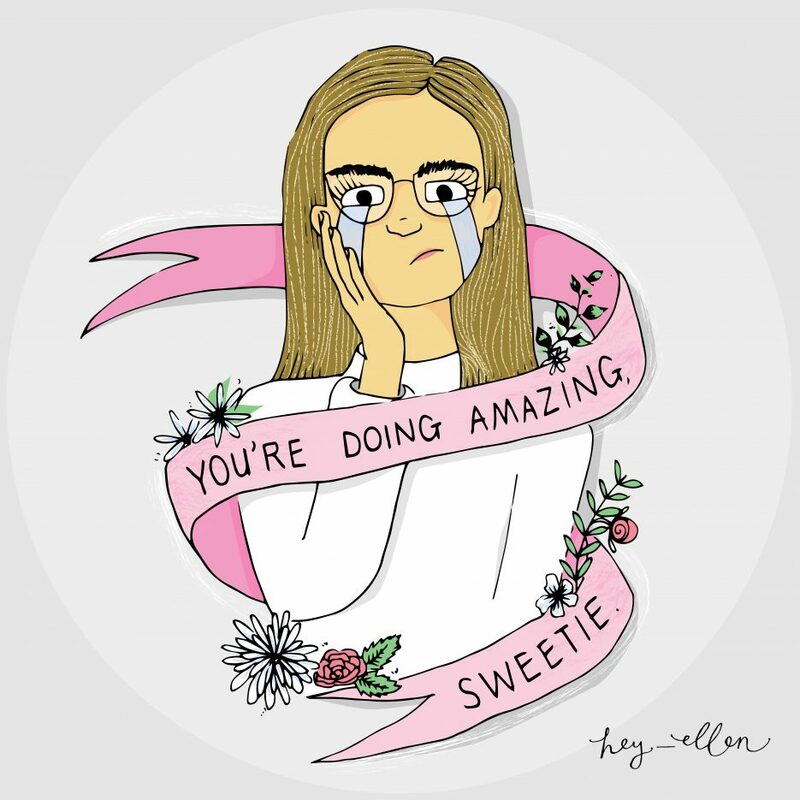 An illustrator and designer, the 23 year old took 2018 by the horns and used it to chronicle her journey and evolution as an artist and person. Often tackling close to the bone topics, such as sexual violence, period positivity and her own battles with mental health, her vulnerability and self-confessed chronic oversharing made her (and her work) a safe space for those who encountered her work. Carefully combing through messages from women sharing their stories, her ability to invoke a sense of intimacy and trust is a rare gift, in an environment where both are dismissed. Heydenrych has been working on an ambitious children’s book project, which also has an academic component, hoping to take the lessons from her illustration into the formal academic space, to make interventions around the way illustrators can start to represent sensitive issues and marginalized groups through drawing. Cedric Nzaka is a quintessential ‘fave’ on the South African creative scene. Known widely for his unmissable street style portraits, Nzaka is regarded highly for his talent and consistently. 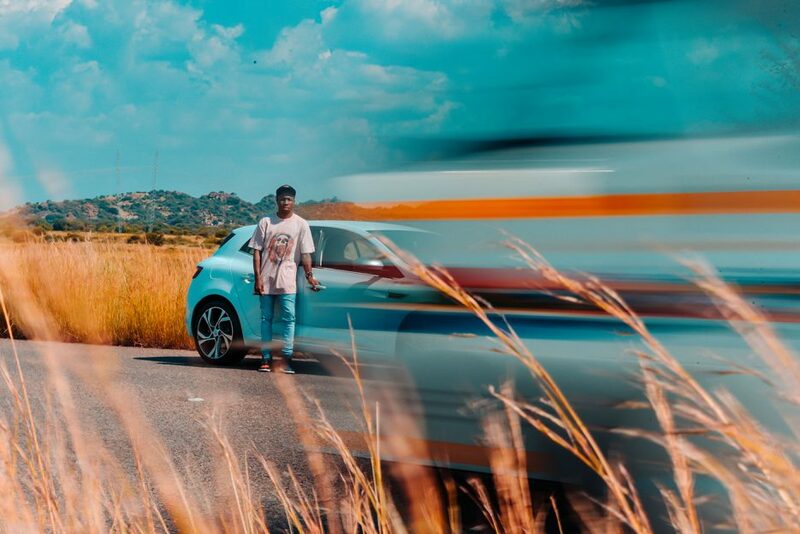 And so when he decided to head back to his home country of Kenya, his local fans were understably upset and confused – even issuing calls on social media for his immediate return. After all, why would you move away for a year when you’re at the top of the game? For Nzaka, the lesson for 2018 was that the art form, rather than the attention was what counted. He disconnected from Johannesburg, and put his own personal and career development first – engaging new inspirations, projects and people while based in Nairobi. In the rat race of creative success in South Africa, Nzaka swapped out complacency for new creativity and upon his return his December, where he shot some of Afropunk’s best images, showed that sometimes you have to take a step back and look at the bigger picture. In focus, of course. While there is much to be said for massive spotlight as a way to garner attention in the creative industry, for DJ and events guru Akio Kawahito, the work is its own reward. Well-known on the South African events circuit, and one of the minds behind the Kool Out brand, Kawahito turned this up a notch in 2018. In partnership with his trusted circle, Kawahito was part of securing acts like SiR and Bas for sold out performances in South Africa. Deeply in touch with the South African listener, their tastes and interests, Kawahito competed effortlessly with far larger events companies and collectives and won – swapping big, flashy (and often disappointing venues) for concerts in the right places, with the right music. 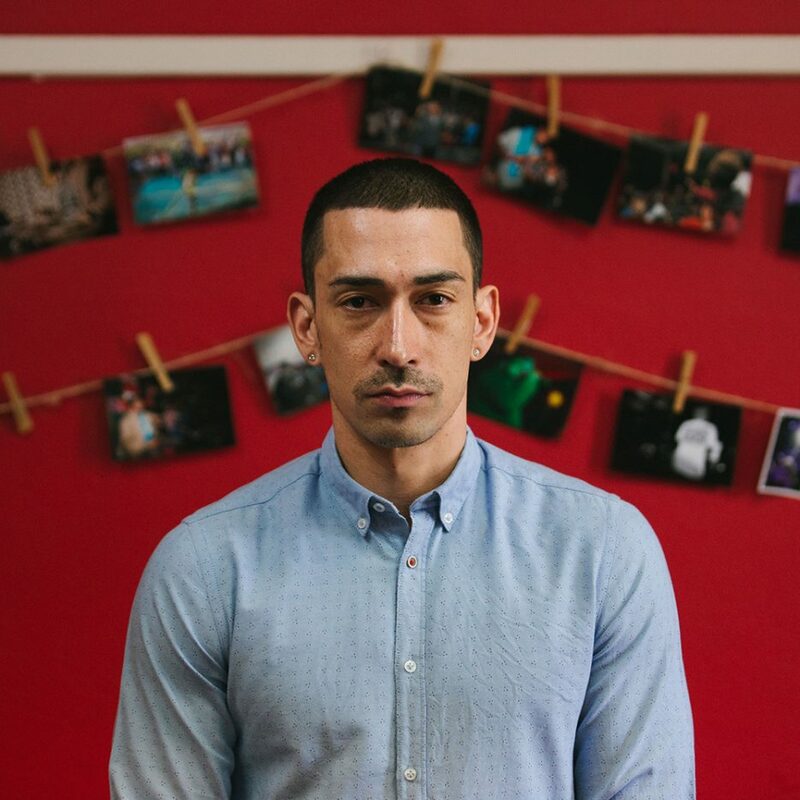 A savvy businessperson, with a knack for engaging openly and kindly with friends and strangers, his ear-to-the-ground approach to delivering experiences signals an evolution in the relationship between the local and international music circuits. The lesson: Sometimes the biggest impact comes from the softest voice. There is no doubt that Wanda Lephoto owned the small business, big presence game in 2018. From a solid degree of notoriety and support from working in The Sartists collective, Wanda’s popularity, interest (and we hope, sales) skyrocketed in 2018. His is an interesting case, where no one ‘clique’ owns the Wanda Lephoto aesthetic – not the cool kids, not the hypebeasts, not anyone. Instead, his designs are owned and loved by a diverse range of consumers – who resonate with his use of iconography, careful use of fabrics, and a nod to the glory and gracefulness of African people. Marc Jacobs was once quoted as saying that “people don’t buy a product, they buy an inspiration” and Wanda’s approach to design and marketing reflect that. Far beyond his apparel, fans flock to his page to see their favourite local influencers depicted in portraits that are at once striking and intimate. And if that’s not enough, he also took his empire ‘mainstream’, by securing a spot as part of Woolworth’s Style by SA range, which celebrates the best and brightest local designers. 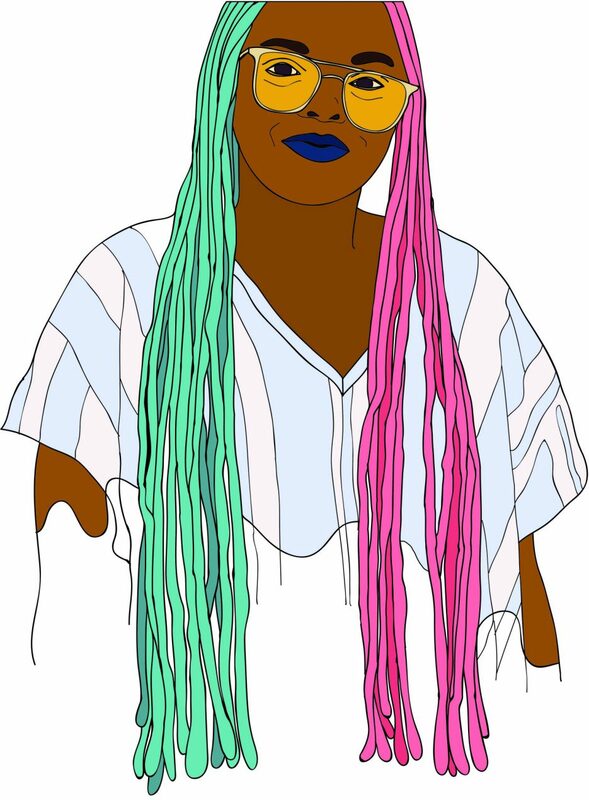 Tshegofatso Senne has a rare ability – all her creative work stems from care. Whether she is championing self care, encouraging the progress of womxn and queer people, or speaking at public events, there is a deep sense of heart in her work. Her most game-changing work however, was the release of her Thembekile Journals. Drawing on 2018’s massive bullet journaling trend, Senne developed a range of customized and customizable bullet journal, to suit different needs – and to take the upskilling required to bullet journal from scratch. Taking the practice far outside the realm of the pretty, Pinterest-esque space, the Thembekile journal is both beautifully designed and a practical component for every day life. And it’s not just for creatives – the ease of use and creativity have made it a favourite of all kinds of customers – including those with careers in writing, security studies and social justice work. Wary of the price constraints of the South African market, Senne took care to ensure that while not cheap, the product was accessibly priced, in order to ensure that as many customers as possible could benefit from the journal, and the healing practice of bullet journaling. There is no doubt that FAKA won 2018. 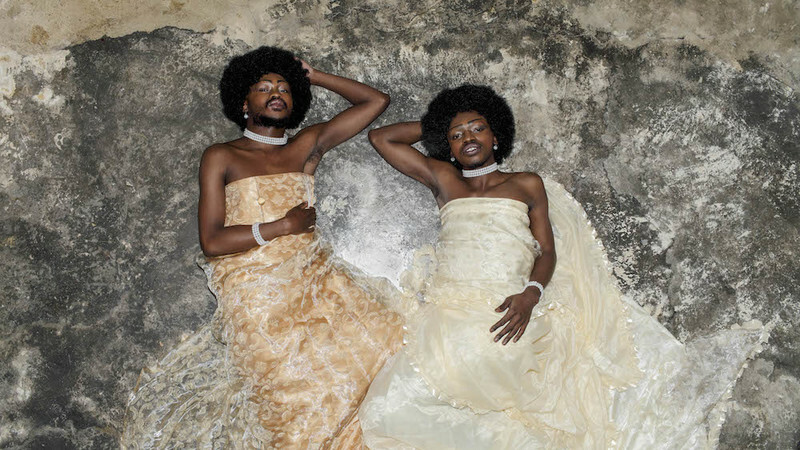 The gqom gender-being duo, comprised of Desire Marea and Fela Gucci took their fantastical, fashionable brand of music making and turned it into an international empire. While at home, there are certain audiences who still need to shrug off their reservations, FAKA certainly opened some eyes and minds with their ability to deliver fast-paced electrifying performances with powerful messages. In 2018, they dedicated a solid chunk of performance to their local fans, and through their consistent touring abroad, have gained a new base of adoring followers everywhere from London to Helsinki. And they were being closely watched. Doyenne of the iconic house of Versace, Donatella Versace personally invited the duo to sit front row in Milan at the showcase of the 2019 menswear collection, where she used their music as the key soundtrack for the show. Unflinching and uncompromising, the queer advocates and best friends have helped to rescript ideas about the horizons of possibility available to queer artists, and looked amazing while doing it.